What Makes Artist and CDC Collaborations Work? 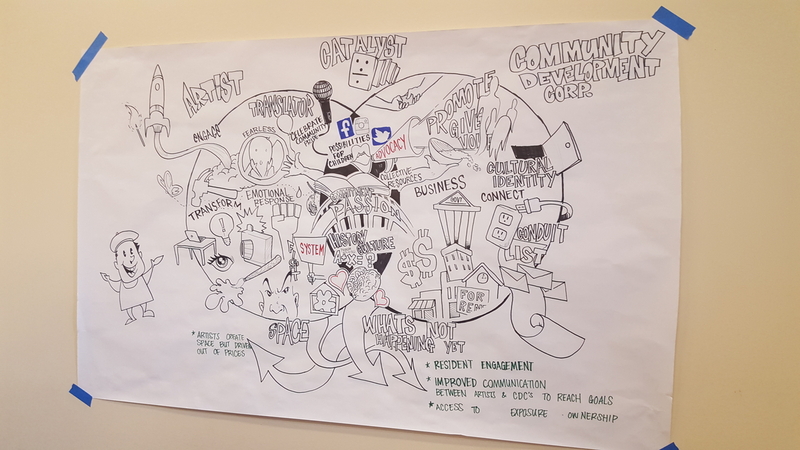 On Tuesday, March 22, the Bartol Foundation, along with Philadelphia LISC and PACDC partnered for an event focused around how artists and CDCs can create strong communities together. Both community developers and artists came together for an interactive peer-learning session that explored how artists add to the vibrancy of public spaces, build bridges among neighbors, and contribute to revitalization of commercial corridors. We also heard from Jennifer Hughes of National Endowment for the Arts and Aviva Kapust of The Village of the Arts and Humanities. Hughes spoke about the NEA’s Our Town, a federal grant program for creative placemaking, while Kapust talked about how the Village has expanded its programming to corridor management under leadership as well as launched an artist residency program. While both A Mighty American Street Feast and the Third Spaces Initiative are in progress, The Parking Meter project is complete. 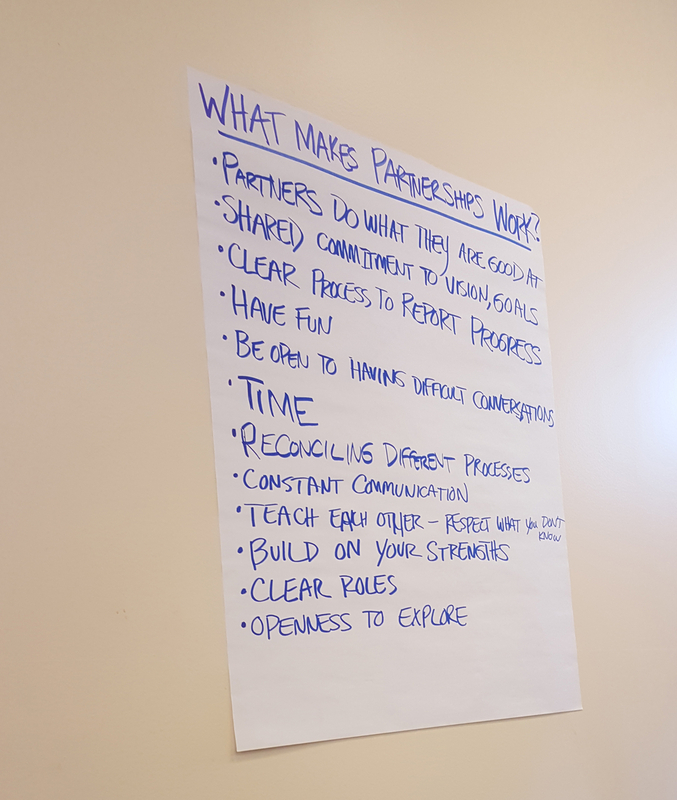 Dixon and Hawthorne offered a lot of insight into what made their partnership work, including sharing a commitment to vision and goals, having each person work in their area of expertise, and having a clear process for reporting progress. Next up for the Bartol Foundation is a workshop with the Thomas Scattergood Behavioral Health Foundation entitled Artists Plus Trauma-Informed Practice for Youth, participants will discuss what unique role do the arts play in supporting communities and individuals who are impacted by trauma Find out more information about that workshop on Bartol’s website.